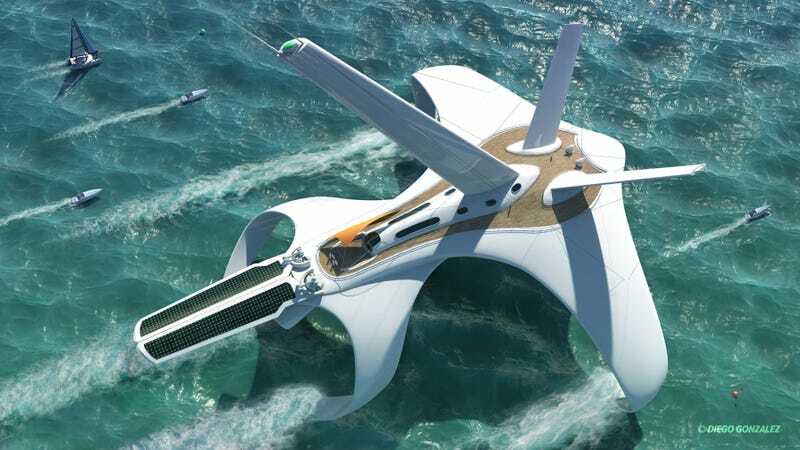 Diego González's Birostis is a clipper that uses a hydrofoil hull and can be propelled by sails but also by two front kites (which are out the shot.) According to Diego, "the idea of this design come from the novel Ship Breaker by Paolo Bacigalupi." Diego González Cortes is an Spanish concept designer based in Los Angeles, California, now working at GonzhuStudios. You can follow him in CG Society.